Oh, the dreaded wrinkle. So often we’re told to conceal, fill and diminish any signs of aging. 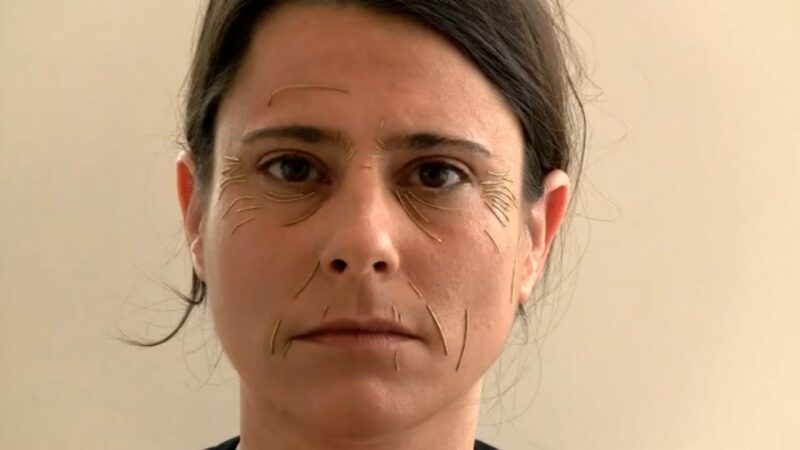 Instead of hiding under pounds of makeup or relinquishing to surgery, Israeli artist Noa Zilberman views the embedded lines on her skin in a different way – by accessorizing them. Noa Zilberman and her project. 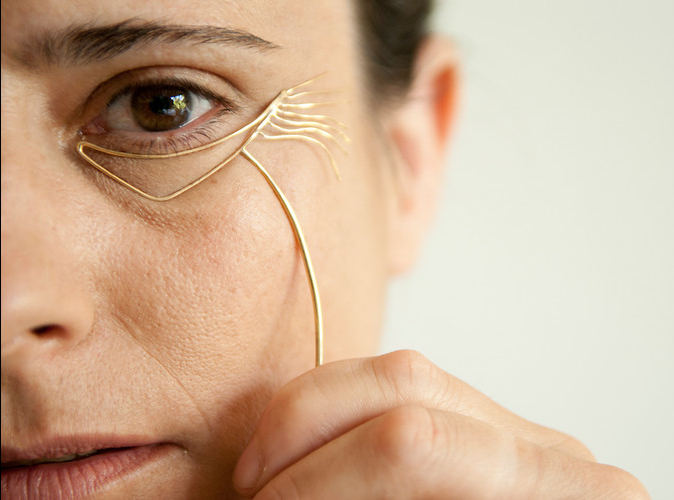 Taking an artistic stand against society’s preoccupation with aging skin, the first year master’s student at Jerusalem’s Bezalel Academy created jewelry pieces that emphasize and celebrate her wrinkles in a decorative manner. Though the pieces and customized addendums aren’t for sale, yet, Zilberman notes that if “someone really insists, I guess I can make a copy.” The delicate pieces are beautiful, though I’m not really sure they’re practical for actual wear. It’d be rather a statement keepsake on cultural perceptions on beauty than something to don on a casual Monday, though the neck wrinkle choker might work out. You can check out more photos and a video on how the pieces were conceptualized and hand crafted by Zilberman here. What do you think – Would you ever “wear” your wrinkles?